You can collect disability benefits having been diagnosed with Rheumatoid Arthritis. 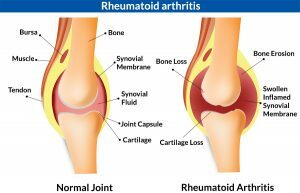 Rheumatoid arthritis (RA) is an autoimmune disease in which the body’s immune system that performs the function of attacking foreign substances such as viruses, bacteria, etc, unintentionally attacks the joints. This effect brings about inflammation that causes (the synovium), a tissue that lines the inside the joints to become thickened. This further results in joint swelling and pain. Failure to treat Rheumatoid Arthritis despite suffering from it can permanently result in bones and cartilage damage. Rheumatoid arthritis is not limited to only affecting one part of the body; it is technically a systemic disease because of its ability to affect the entire body, including the respiratory and cardiovascular systems. Arthritis occurs whenever there is joint inflammation. Causes of arthritis include viral or bacterial infections, bone breakage, autoimmune disorders, age, obesity, and fractures. Arthritis can limit your ability to perform daily activities through significant pain, redness, and swelling of the joints. Can I collect SSI or SSDI for Arthritis? You can collect Supplemental Security Income disability benefits (SSI), or SSD (social security disability benefits) for rheumatoid arthritis on a condition that you have been diagnosed with Rheumatoid Arthritis and your medical records have proved that your symptoms are severe enough to prevent you from working at a substantial and gainful level. 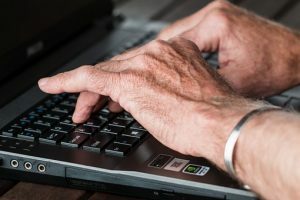 To be frank, being diagnosed with Rheumatoid Arthritis is not a sufficient reason to qualify for receiving disability benefits from the Social Security Administration (SSA). In fact, the SSA requires sufficient proof that the Rheumatoid Arthritis prevents you from working and performing daily tasks that you otherwise would have been able to do. Be unable to perform your daily work tasks. You must also meet at least one of the following to be considered medically disabled by the Social Security Administration. Incapable of performing various tasks with both of your arms. Experience significant difficulty walking if your Rheumatoid Arthritis is present in your leg joint(s). Show extreme inflammation or permanent deformity in one or more major joints; also you must exhibit at least two of the following symptoms: fever, fatigue, malaise or involuntary weight loss. Severe side effects that cause on-going flare-ups, accompanied by fever, fatigue, malaise, or weight loss. Suffering from the combination of these symptoms drastically affects your ability to perform your daily activities. Suffer from ankylosing spondylitis- causing inflammation, pain, and stiffness in the spine- or another spondyloarthropathy, with fixation of your spine of at least thirty degrees. According to federal regulations, the decision about whether your Rheumatoid Arthritis disability benefits will continue or end with respect to how it responds to medical treatment will be determined by the Social Security Administration (SSA). Even if you are still testing positive for Rheumatoid Arthritis, but- through medical treatment, your swelling and impairment have decreased in severity, the Social Security Administration may or may not continue awarding you benefits. They would evaluate whether your impairment is still conflicting with your ability to work. Am I eligible to receive disability benefits for Rheumatoid Arthritis? Also, if you don’t meet all the technical requirements, you may still be eligible to receive disability benefits for your Rheumatoid Arthritis. The SSA will assign a “Residual Functional Capacity” (RFC) for you to complete. This will help them evaluate your capacity to perform work tasks and determine your eligibility for disability benefits. While applying for disability, ensure you include vital documents like medical records, laboratory and test results, names, and dosages of medication. Provide sufficient documentation to ascertain the severity of your arthritis and your inability to perform your position at work. You can also discuss this with your doctor in case you are experiencing trouble with your responsibilities at your job due to your arthritis. It will be highly essential to have documentation of the severity of your condition and how long it has been this severe. Applying for disability benefits can be an extremely difficult and seemingly impossible task if you’re suffering from Rheumatoid Arthritis. The good news is that you can scale through the process hassle-free. All you need to do now is to Contact a seasoned, highly experienced and compassionate disability attorney at San Diego, California, to help you gain the benefits you deserve.